Bogani Nani Wartabone National Park is a protected forest which is turned into National Park. Bogani Nani Wartabone is name of a hero who came from Gorontalo province. The name then enshrined as this National Park’s name. 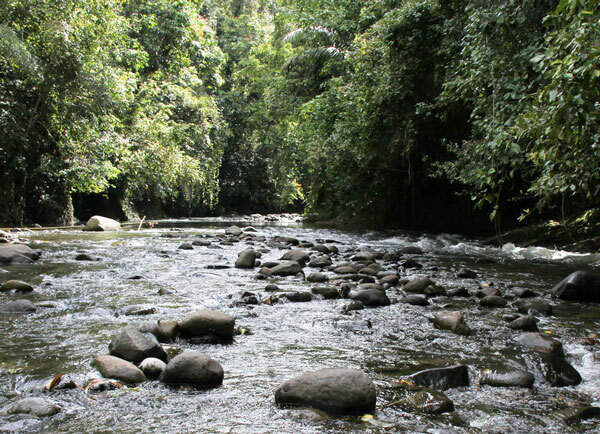 Located in Minahasa Peninsula, Bogani Nani Wartabone has broad approx 287,115 hectares. Bogani Nani Wartabone is included in Wallacea zone, a biogeography zone which is also a convergent zone of Australia and Asia zone. Hence, there are many unique characteristic of flora and fauna, as well as the ecosystem in this park. As protected forest, Bogani Nani Wartabone has rich biological diversity. It is also a habitat for various flora and fauna. Most of them are endemic species of Sulawesi Island. Bogani Nani Wartabone National Park is a habitat for several animals, such as mammals (24 species), poultry (125 species), reptile (11 species), amphibi (2 species), butterfly (38 species), beetle (200 species), and fish (19 species). In this park, you can find some endemic animals that are protected due to extinction threat. Those are Maleo bird (Macrochepalon maleo), Yaki monkey (Macaca Heckl), Bone bat (Bonea bidens), small kuskus (Phalanger Celebensis), and bear kuskus (Phalanger Urnisus). 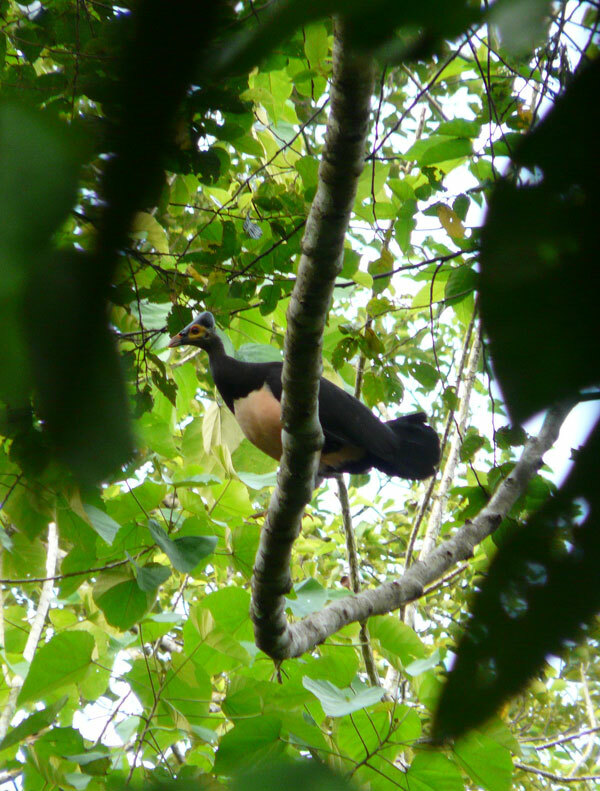 Maleo bird and Bone bat are this national park’s mascot animal. 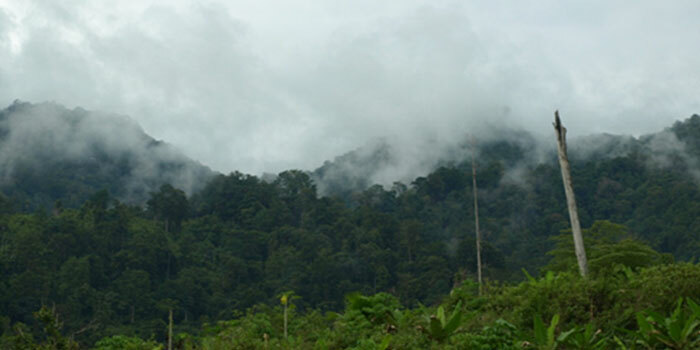 For sure, in Bogani Nani Wartabone National Park you will able to see the dense of tropical rainforest of Sulawesi. In the shady forest, you can find various kinds of plants, such as trees (400 species), high plant (241 species), fern plant (120 species), moss (100 species), and orchid (90 species). Rare Endemic plant you will find here can be found here also, such as Matayangan palm (Pholidocarpus ihur), iron wood (Intsia spp. ), black wood (Diospyros celebica), yellow wood (Arcangelisia flava), and carrion flower (Amorphophallus companulatus). Generally, land condition in Bogani Nani Wartabone National Park is not quite different to Sulawesi Island’s condition. Extend from west to east; Bogani Nani Wartabone area is located in 2 provinces, Gorontalo (40% of total) and North Sulawesi province (40% of total). Land surface in Bogani Nani Wartabone National Park is quite varying. Consist of land, wavy land, hill, steep cliff, and mountain. The land height is also varying from 50-200 above sea level. There’s also mountain in this area, such as Padang mount (± 1300 above sea level), Kabila mount (±1735 above sea level), Ali mount (±1945 above sea level), Gambuta mount (±1954 above sea level) and Damar mount. Type of forest in Bogani Nani Wartabone National Park is also varying, such as primary, secondary, mountain rain forest, low land rain forest, and moss forest. 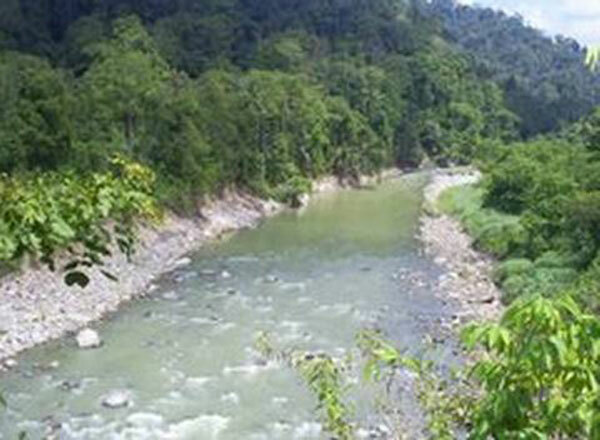 Bogani Nani Wartabone National Park area is a water source area and main water source for surround area such as Gorontalo, and Bolaang Mongondow (north Sulawesi). Approx 20 rivers flow from Bogani Nani Wartabone National Park’s mount, which cross those 2 provinces. Those rivers are mostly the source for local people’s daily need. Besides as a tour place, Bogani Nani Wartabone is also suitable for other activities such as camping, hiking, river fringing, and photo hunting. If you plan to visit or to explore Bogani Nani Wartabone National Park, it is suggested for you to visit on May-September, because at these months, the park is in dry season. You can find many Sulawesi accomodation near national park too, such as Wira Cottage and Hotel Wisata.